Was shooting silhouettes of tree branches against the twilight sky, when this guy showed up to catch the last light of day. Hand held, auto focus, AV mode. Dodged the bird’s underside a bit in Photoshop. 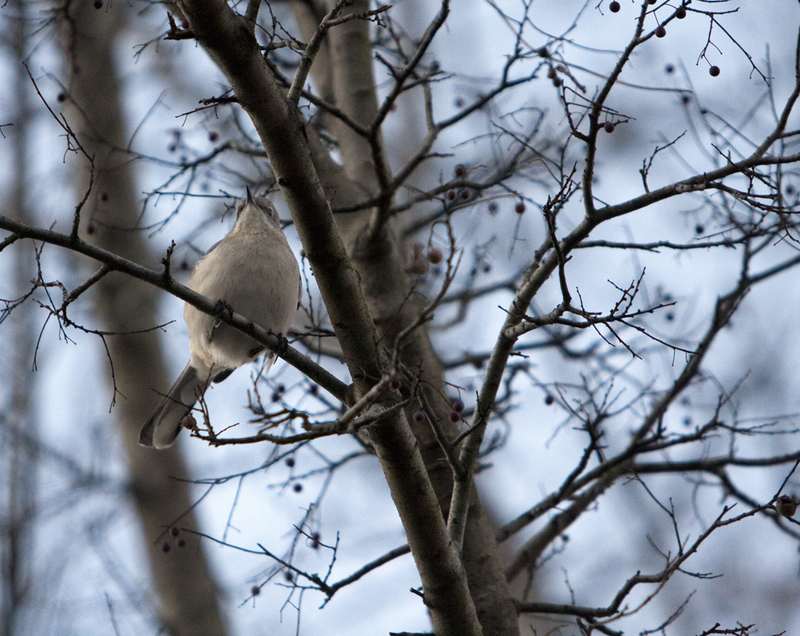 This entry was posted in Photography and tagged birds, mockingbird, nature photography, photography, postaday. Bookmark the permalink.